Taconic Shave’s Tequila Lime Shave Cream creates a lather that is rich, slick, luxurious and long lasting. 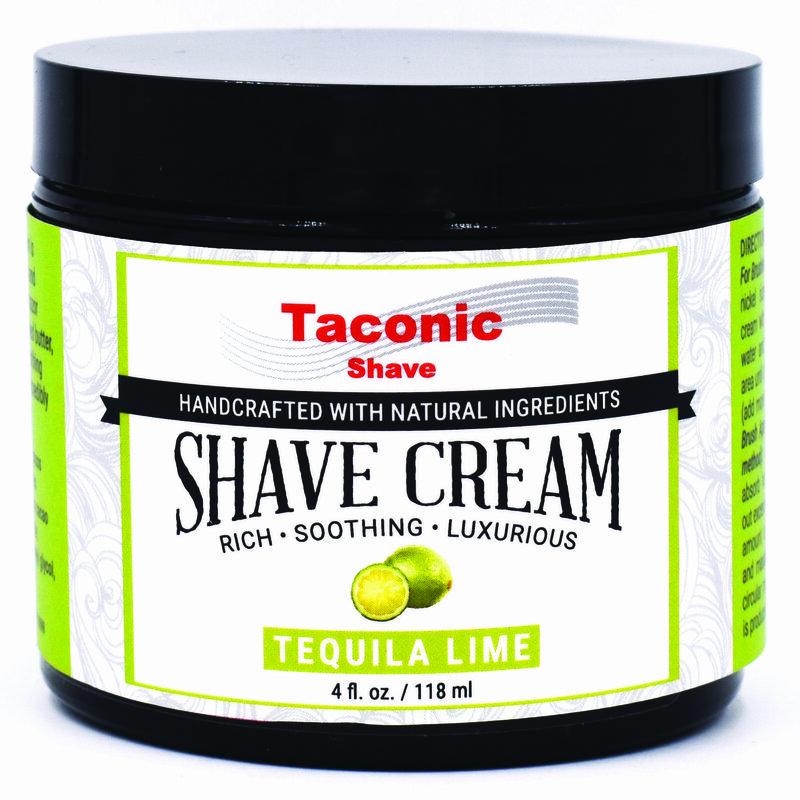 Taconic Shave’s Tequila Lime Shave Cream creates a lather that is rich, slick, luxurious and extremely long lasting. 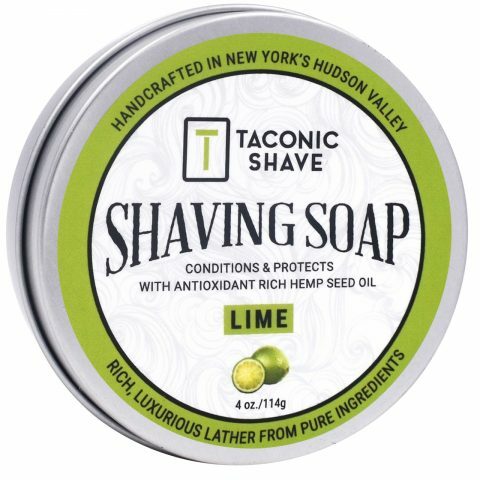 This product uses many organic ingredients and is made in the USA by artisan soap and cream makers, featuring organic oils, coconut oil and organic honey. Our cream can be used with a brush (recommended) or brushless. Either will deliver a fabulous shave. Highly concentrated, one container will last for several months. Directions: For Brush Application (recommended method) – Allow your brush to absorb hot water. Gently shake out excess water and add a nickel sized amount of cream to brush tips. Massage into beard with circular motion until a rich lather is produced. 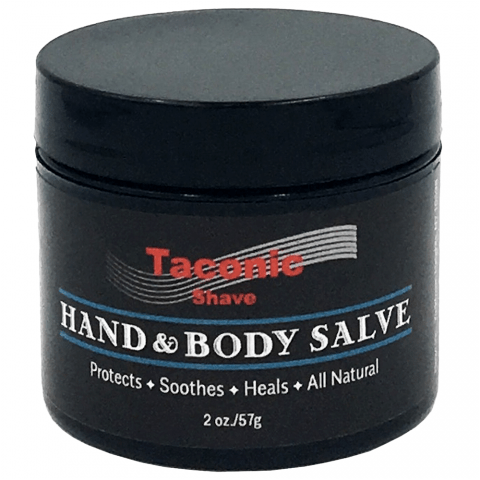 For Brushless Application – Using your fingertips, remove a nickel sized amount of shave cream, add warm water, massage onto shave area for 60 seconds or until a rich lather is produced (add more water as needed).